Padded headrest with face cavity and arm slots for either sitting or laying down. Adjustable footrest accommodates various leg lengths. 5 recline settings for easy adjustments. Comes in a variety of colors and patterns. Extra lumbar support with comfortable padding. Carrying strap breaks after a few uses. May not withstand repeated use of users over 200 lbs., despite 270 lb. advertised limit. Cup holder may snap off easily. This is the summary of consumer reviews for Ostrich Deluxe 3N1 Chair. The BoolPool rating for this product is Good, with 3.60 stars, and the price range is $76.00-$110.00. 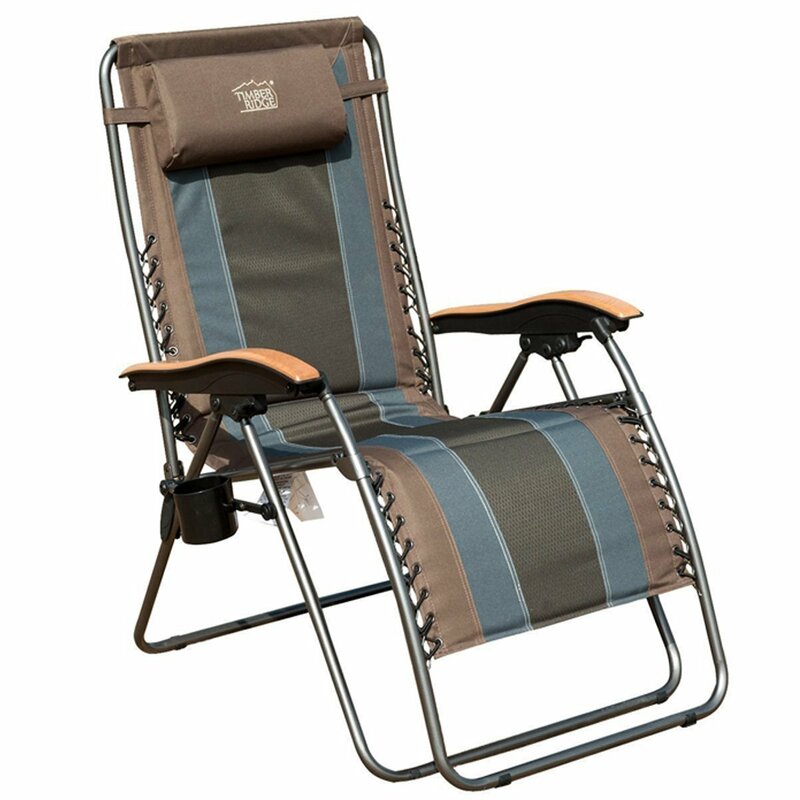 If you are looking for a comfortable experience lounging on a beach, by a campfire, or creating a staycation of your own in a park or backyard, the Ostrich Deluxe 3N1 Chair may be perfect for a relaxing experience for you. Perhaps the most enticing feature of the foldable reclining chair is the number of padded pillows and lumbar support cushions built into the chair, which is perfect for napping, reading, and general outdoor relaxation. A facial cavity and comfortable armrests are also built into the back of the chair when you decide to flip around, lay on your stomach, and not worry about squishing your face and losing that sense of zen. 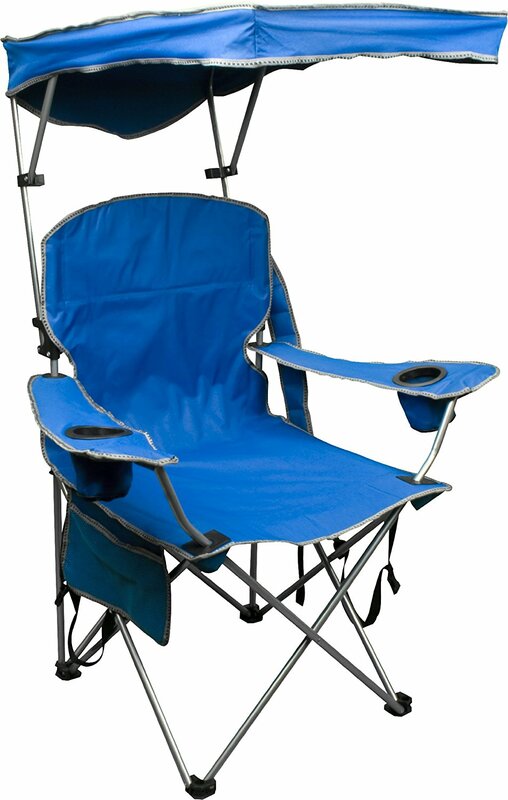 Some customers say the chair collapses after just a few uses and cannot withstand weights below its maximum limit, while others say utility features of the product like the cup holder and carrying strap break easily. Fancier models that come with a steeper price tag are also said to crack or break after a few uses with weights of more than 180 pounds. 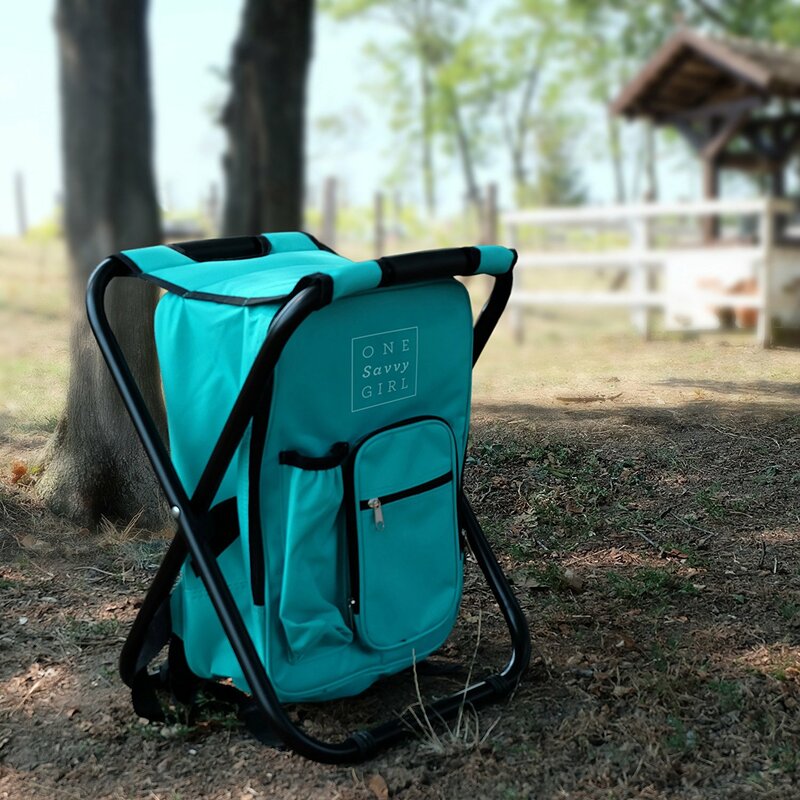 The chair is said to hold up to 270 pounds of weight, yet itself only weighs 9 pounds, which makes for easy toting to events - a perfect companion for sitting on the go in any situation. What’s more - the rust-free chair can withstand any kind of weather on the go. FAST SHIPPING, PERFECT ITEM, A+++++++++. Screws are bending on it with only 3 usage and I weigh 170. The chair collapsed underneath me, and I weigh under 200 pounds. the item arrived broken and I couldn't use it when I went on vacation (I didn't open it when it arrived ) went on vacation and went to use the chair The description stated slightly used NOT BROKEN -the armrest was bent down and cracked at the screw and we couldn't get the chair to open up to be sat on. Have had this chair for only 2 months, my cousin who weighs 180lbs was sitting in the chair when the side of the seat ripped completely. If you wear a ponytail or any type of clip in the back of you hair the opening in the back is great. I liked the first ostrich chair I got so much, I bought this one for my big man hubby. Bought one for my daughter, too!. BOUGHT AS BIRTHDAY GIFT FOR A FRIEND. Bought this chair and only 6 months later, both arms that the back of the chair is bolted in to cracked, split, and rendered the chair completely useless. I'm glad I bought the deluxe with the padded back & footrests. I bought two of these chairs, and we used them two times and mine already broke! the chair itself is very nice....the carry strap however is completely useless...i bought 3 of these chairs and all of the straps have failed....tje clasp is terrible, it bends out or breaks within 2 times carrying the chair....plus the chair is somewhat shaky. Unfortunately I bought this in June, but didn't use in until July and they say it's too late to return it. liked the first ostrich chair I got so much I bought this one for my big man hubby... in blue, less the towel that was for me!. Where the arms attach to the poles, the wood on the arms separated and detached from the back poles of the chair! I've 4 other beach chairs from other manufacturers that are still working great after 10 years. Reading a book or reclining a little further back for a nap was easy. Just a little disappointed with quality. The chair is a little on the heavier side and a little awkward when carrying it but like I said she's to have it. Used the chair about 5 times before the leg support gave out . I'd read the previous reviews and just assumed that the users were maybe a little rough on the joints. Reading a book to reclining a little further back for a nap was easy. Ostrich chairs are great, although they're a little short when stretching out your legs, particularly while lying on your stomach to sun your back. Exactly what I wanted HOWEVER, used it a little last summer and then stored it in my garage for the winter. I wish I still had the box and was able to return it that was totally money wasted. Third time is was sat on the seat ripped from back to front. Great chair and very comfortable--the cup holder broke off during the first week, but I didn't really use it anyhow. Shoulder strap broke first use. These are nice chairs, but the carry strap broke on both chairs during the first use. We live near the beach and a lake...on the first time out it broke. first order was damaged and returned. Just used this chair for the first time and it broke as I was reclining. Great chair but a bit heavy to carry with cheap carrying strap - clasp broke on mine and nylon strap tore on my friends strap. The first time he used it, it collapsed. The cup holder was broken, probably during shipping, but the box wasn't damaged. Sitting or laying on your back it's by far the most comfortable beach chair I've ever owned. 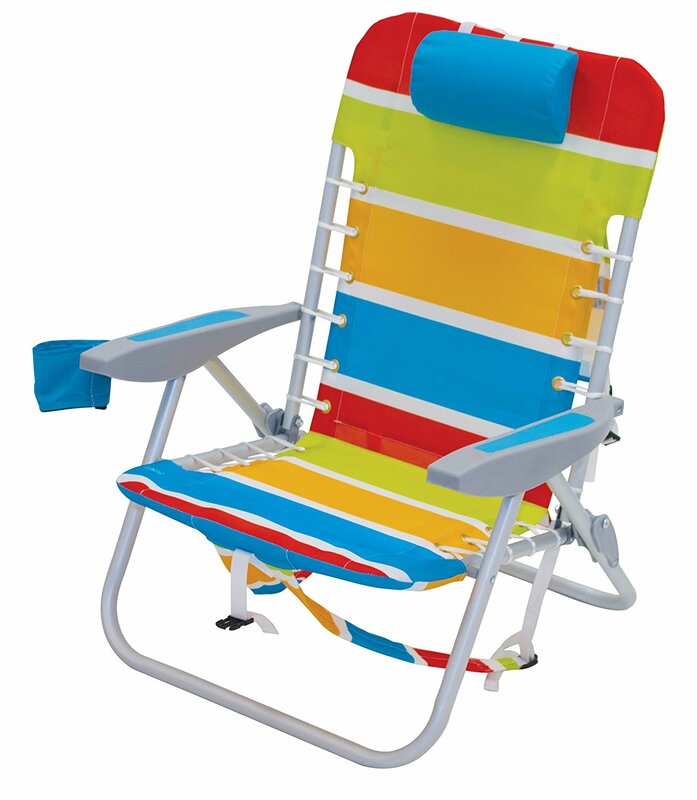 Very nice large comfortable beach chair. Love it most comfortable chair I've ever owned. 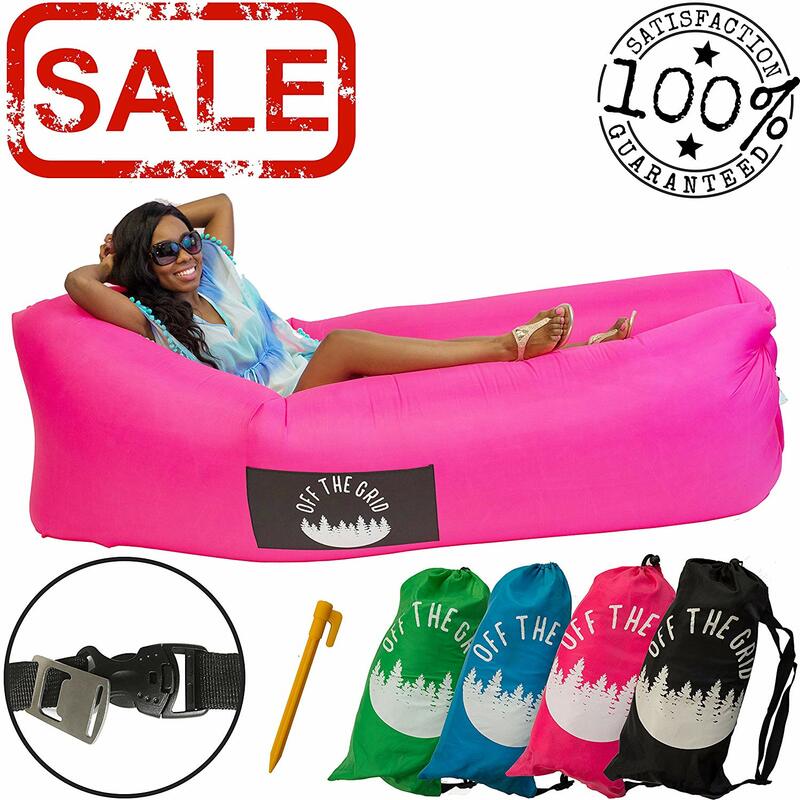 A little more heavy than other beach chairs but I love that it's so comfortable and IT"S PINK !. Superb buy, roomy and comfortable!. It isn't heavy and very comfortable. The chair is comfortable in the sitting position only. Best beach chair Ive ever owned. I love when you can elevate your feet allowing for the sand to dry up and napping on this seat is also comfortable. With the head massage hole, your face rests comfortably while on your stomach and you can read or use your phone while lounging! I also love that the adjustable foot rest is padded so it doesn't cut into your legs. The back and foot rest are padded which is so comfortable. The foot rest part is a very nice feature. A little tough to work the leg rest but once in place, super comfortable! The leg rest is behind my knees, and the leg rest support bar cuts across my calf. The head rest us awesome. Now the foot rest won't close. The back pillow support and head rest is, again, very comfortable. Easy to turn over on my tummy and read my book...nicely padded face rest. 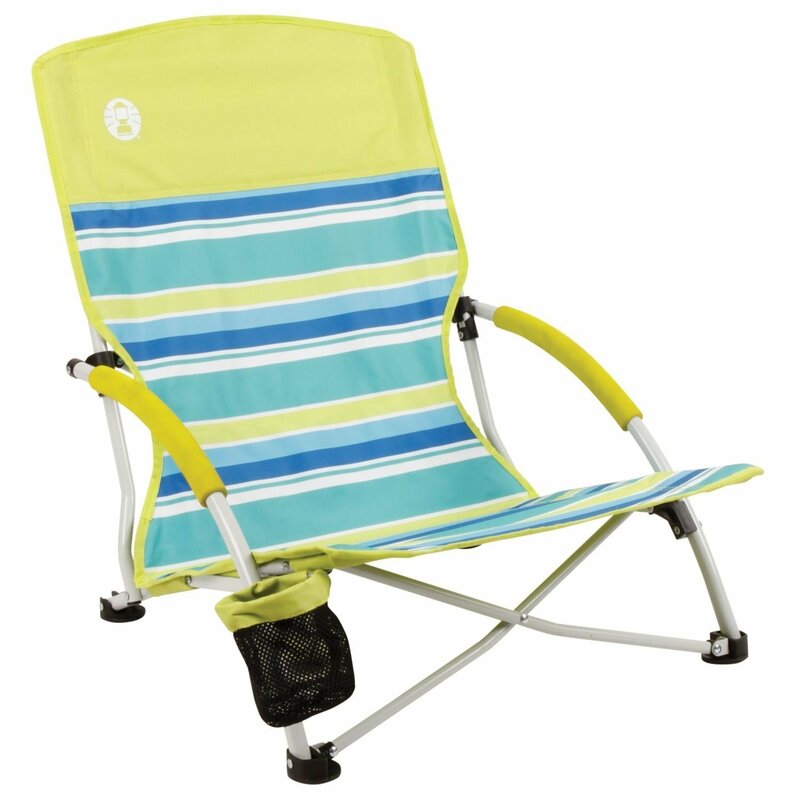 This is absolutely the most comfortable beach chair I've ever owned & I'm a beach bum. 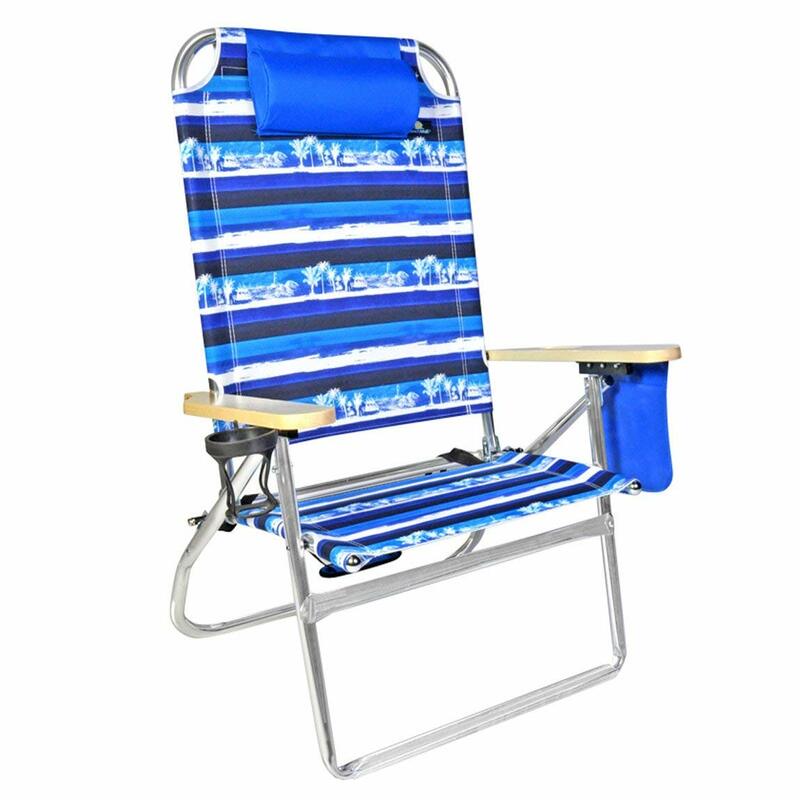 My wife was furious, I bought her a real nice beach chair from a beach store. Really nice beach chair but a bit heavy. This's absolutely the most comfortable beach chair I've ever owned & I'm a beach bum. 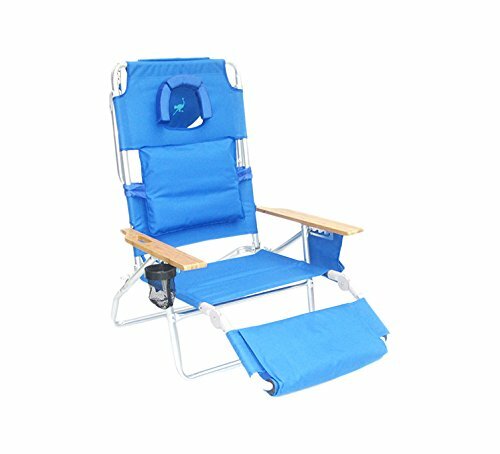 I live near a beach and wanted to invest into something a little better than a cheap beach chair. Absolutely the most insane beach chair. Much better than those low beach chairs. Good height off the beach surface. CHEAP material- very flimsy aluminum -was shipped DAMAGED- returned it and bought the Ostrich On-Your-Back beach chair instead, which I like. 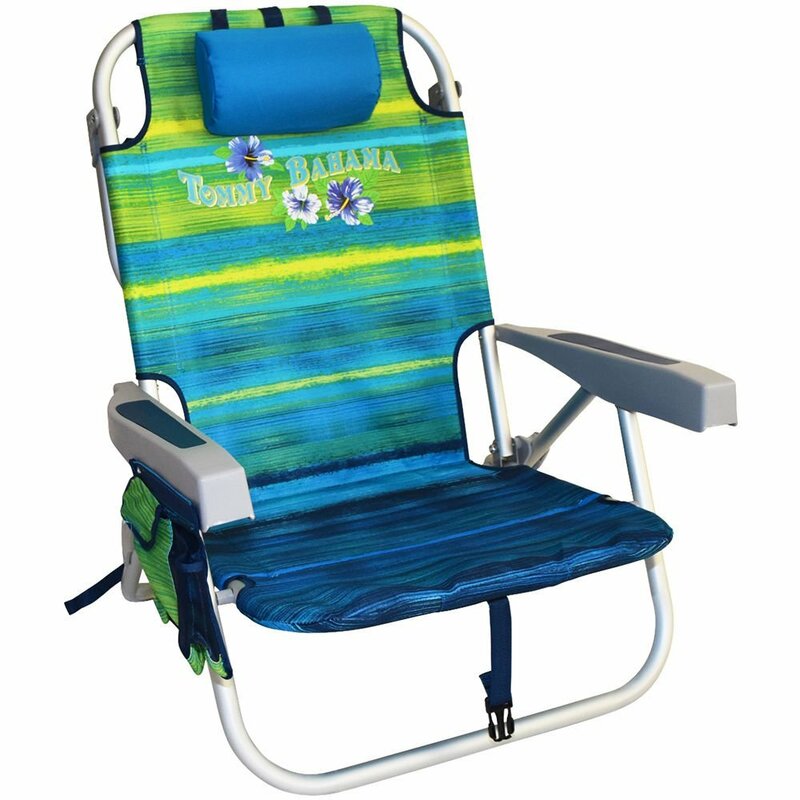 Great for the beach, sitting around a campfire or tailgating.